So, did you watch the Tonys? With no obvious sweep expected this year (like last year’s Hamilton juggernaut), things were a bit more interesting, but still kinda slow. Self-confessed “25th choice to host” Kevin Spacey did a serviceable — if not slightly boring — job as host. He trotted out solid impressions of Johnny Carson and Bill Clinton … but this is 2017, so in a word, it felt awkward. Dear Evan Hansen was the big winner of the night with six awards. Better Midler showed up (but sadly didn’t sing), and Anna Wintour never took her sunglasses off in the audience. If you’re not a die-hard Broadway fan, this part of the show definitely had you reaching for your phone to text your favorite theater queen. 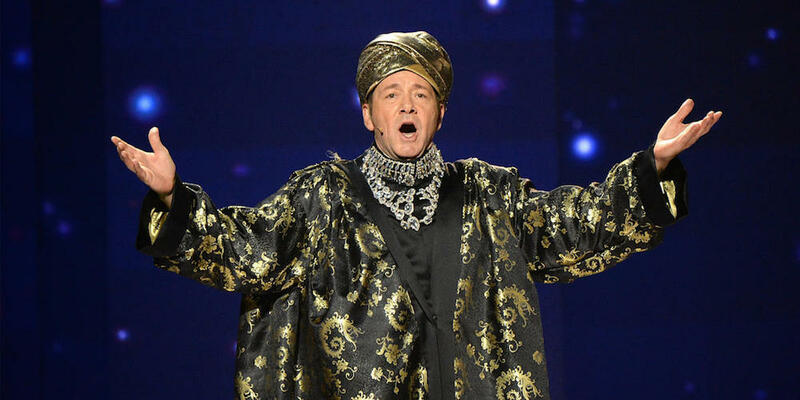 Hosts of the past like James Corden and Neil Patrick Harris have opened the show with references to nominated shows, of course, but they were done with fanboy charm and exuberance that was greatly lacking from Spacey’s labored song-and-dance routine. 2. Whoa, Kev! Did you just come out? 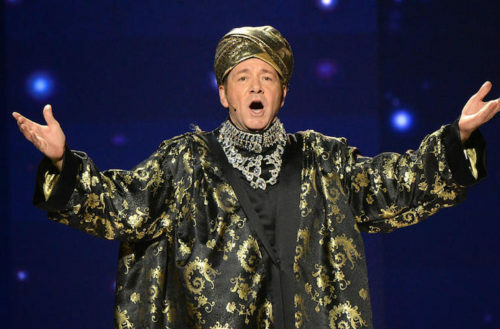 Spacey has dodged questions about his sexuality for years, as is his right (we guess), but last night he made several jokes at his own expense. He surely knew the audience he was playing to last night, and they ate it up. The belle of the ball last night was surely the Divine Miss M, who was a lock to win the “Best Actress in a Musical” award and did just that. No one else could have gotten away with it, and we love her even more for it! Much has been said about Broadway newcomer Ben Platt, the 23-year-old star of Dear Evan Hansen. Did you know that his father is Broadway and Hollywood mega-producer Mark Platt? Well, don’t let that fact lead you to believe that he’s some unworthy beneficiary of nepotism; this guy is the real deal. Recently described in The New York Times as a “unicorn” in that he amazes colleagues with his technical and emotional perfection in every performance of the show, Platt was a lock to take home the Tony for his characterization of a troubled teen. His performance of “Waving Through a Window” during the telecast transfixed audiences and surely sold a ton of tickets. Cynthia Nixon took home her second Tony last night for her work in “The Little Foxes,” in which she alternates roles nightly with co-star Laura Linney. In the first acceptance speech of the night, Nixon set the political mood without ever mentioning He-Who-Must-Not-Be-Named. She spoke of the organizations and citizens who are motivating us all to resist the Commander-in-Tweet.